Kenneth Pakenham, PhD, is a Professor of clinical and health psychology in the School of Psychology at The University of Queensland, Australia. His research and clinical practice in psychology spans 30 years. Inspired by the resilience of some people with serious illnesses, he has committed much of his career to investigating the processes that foster personal growth in the context of health adversities, and to translating his findings into interventions that help people live fully with illness. This passion has driven his empirical, theoretical and translational research, curriculum development, and clinical training and supervision. Importantly, his work has included not only the person with chronic illness, but also his or her network, particularly the carer. Through his 150+ publications, over 70 conference presentations, 3 research awards, and more than 3 million dollars of competitive grant funding, he has become a leader in the application of positive health frameworks to several chronic illnesses, and to caregiving in these contexts. His research has helped to inform government policies, particularly those related to carers, and establish interventions and assessment protocols within government and community services. The “living fully with illness” theme integrates his early research in stress/coping theory, his mid-career shift to incorporate the rise of positive psychology, and his current and future focus on Acceptance and Commitment Therapy (ACT). Using ACT to extend his research on living fully with illness has also invigorated his teaching. He developed the first ACT university course in Australia. This course integrates training in therapist competencies and self-care skills and shows published empirical evidence of fostering competent and resilient clinicians. Through peer reviewed publications, conference and keynote presentations, and three teaching awards, he has become a leader in integrating training in therapist and self-care competencies into clinical psychology curricula using an ACT framework. He has six teaching awards including two national teaching awards. He has supervised the postgraduate research of 53 students. 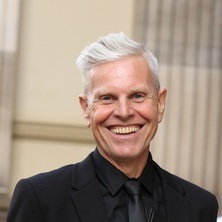 He has served in many influential professional roles including: Chair of the Registration Committee of the Psychologists Board of Queensland for over 10 years, Director of The University of Queensland Psychology Clinic for 7 years, Honours Convenor for 3 years, and member of the editorial boards for six international journals. The impacts of Professor Pakenham's research has been recognised through three research awards (UQ Trailblazer Award, 2010; UQ Partners in Research Excellence Award, 2016; UQ Faculty of Health & Behavioural Sciences Staff Award for Research Translation, 2017). His research on chronic illness and caregiving has informed key government policy and service developments. For example, his definitive report on adult caregiving (Pakenham, Stebbins et al, 2005), and his young carer research findings were presented to the Director Generals of Qld Health and Community Services and government working groups responsible for the implementation of the Qld Govt. Carer Recognition Policy (2003). Subsequently, this research informed the Carers Recognition Bill (2008). In 2018 he was nominated by the Board of MS Queensland as one of the 60 most influential people in MS Queensland’s 60-year history. He has also participated on Federal Government expert panels (e.g., Expert Reference Group to develop a Carer Payment assessment tool). His expertise has also been utilised internationally. For example, he was invited to give expert testimony on young caregiving in a high profile landmark trial in USA (July 2007). Interventions he has developed have transformed services in the chronic illness field. For example, he and a colleague developed a resilience training program called READY, which Professor Pakenhm later modified for people with MS. He and a student developed the Mindfulness for MS Program. Both programs have received research awards and have become flagship services in MS Queensland. Evidence shows that both programs have enhanced the quality of life of patients and their carers and the morale of staff delivering them. His interventions have also been adopted internationally. For example, 2 carer interventions are listed on the Rosalynn Carter Institute for Caregiving (Georgia Southwestern State University, USA) catalogue of evidenced-based interventions for carers, and his young carer intervention is listed on the website of a carer Centre at Linnaeus University, Sweden and is being utilised by the MS Society of Canada. The chronic illness and caregiving measures he has developed are extensively used in clinical and research endeavours internationally. Ten of his published measures are catalogued with international databases. Through his RHD supervision he has also developed effective interventions that have impacted the work settings of his students. For example, a student employed by the Australian Defence Force and Prof Pakenham developed a psychological intervention for recruits undertaking basic military training, which has been incorporated into the recruit training schedule in all basic military training programs in Australia. Are psychologists willing and able to promote physical activity as part of psychological treatment? Gender and generativity issues in parenting: Do fathers benefit more than mothers from involvement in child care activities? Are psychologists ready, willing and able to provide physical activity advice and counselling as part of psychological treatment? Do coping, temperament and character predict medication compliance in HIV-positive gay men? The influence of psychological treatments, gender and coping styles on adjustment, immunity and health for cardiac patients. Promoting Positive Masculinity and Mental Fitness in Men: An Acceptance-based Group Intervention. Companions on the Inside: Pet Ownership and the Introduction of a Prison Dog Program at Darling Downs Correctional Centre. COPING WITH CARE-GIVING: BEHAVIOUR PROBLEMS IN PRESCHOOL CHILDREN WITH DEVELOPMENTAL DISABILITIES.